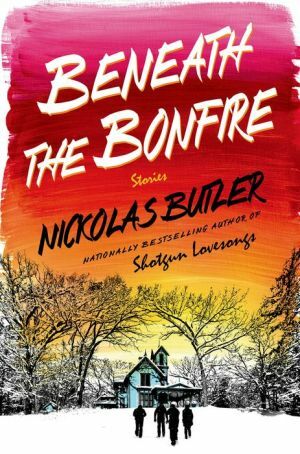 Nickolas Butler's debut novel, Shotgun Lovesongs, has become an international bestseller and won numerous accolades, including France's Prix Page/America, previously won by Chad Harbach's The Art of Fielding. Now, in Beneath the Bonfire, he demonstrates his talent for portraying "a place and its people with such love that you'll find yourself falling for them, too" (Josh Weil, author of The Great Glass Sea). Young couples gather to participate in an annual "chainsaw party," cutting down trees for firewood in anticipation of the winter. A group of men spend a weekend hunting for mushrooms in the wilderness where they grew up and where some still find themselves trapped. An aging environmentalist takes out his frustration and anger on a singular, unsuspecting target. One woman helps another get revenge against a man whose crime extends far beyond him to an entire community. Together, the ten stories in this dazzling, surprising collection evoke a landscape that will be instantly recognizable to anyone who has traveled the back roads and blue highways of America, and they completely capture the memorable characters who call it home.